NUI Galway has maintained its position in the Times Higher Education (THE) World University Rankings for 2015-16, remaining within the 251-300 range and improving on previous scores across most categories. 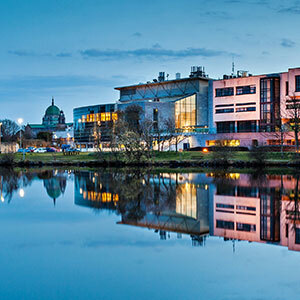 Once again NUI Galway performed strongly in the international outlook score and research citations score as well as improving scores across most other metrics. 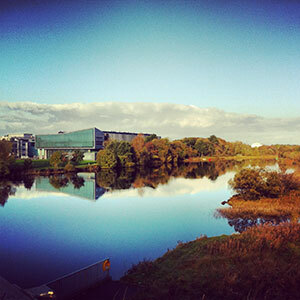 NUI Galway was the only Irish university to maintain or increase its position in the two main international rankings in 2014, having recently increased to 271st in the world in the QS World University Rankings 2015/2016, one of just two Irish universities to improve their standing in this year’s league table. 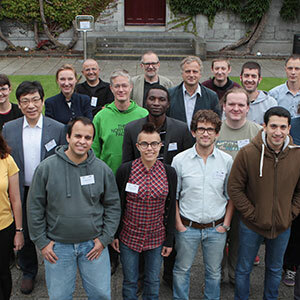 Last month Thomson Reuters ranked four outstanding researchers from NUI Galway among the ‘World’s Most Influential Scientific Minds: 2015’ an increase on the three researchers cited last year. The 3000 international academics named on the list earned their distinction by publishing the highest number of articles that rank among those most frequently cited by fellow researchers. 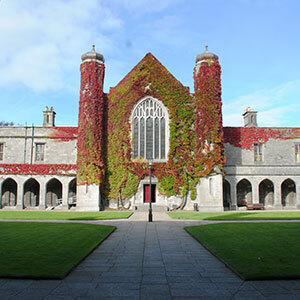 More individuals were listed from NUI Galway than from any other Irish university. 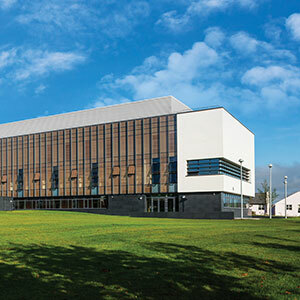 The continuous improvement has been attributed to a concerted approach by the University in developing world-class research in specific fields, NUI Galway President Dr Jim Browne explained: “This is a major improvement for NUI Galway and reflects a sustained upward trend in these very competitive global rankings. 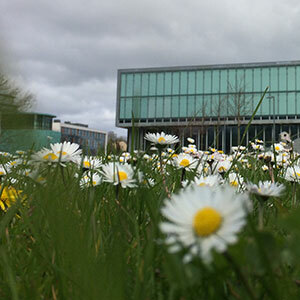 This consistent improvement in NUI Galway’s THE World University Rankings this year is an affirmation of our very focused approach to developing our international reputation in a select set of research areas. The Times Higher Education league table of the world’s top universities is based on 13 separate performance indicators covering all of the core missions of a world class university; teaching, research, knowledge transfer and international outlook. 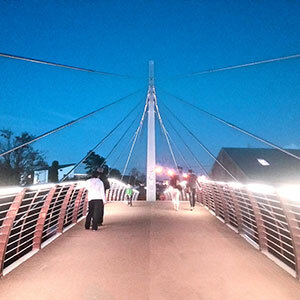 The survey also includes one of the world’s largest academic reputation survey, with more than 10,000 academics asked to rate the world’s best universities for the 2015/16 ranking. Tá a seasamh coinnithe ag OÉ Gaillimh i Ranguithe Ollscoile an Domhain de chuid Times Higher Education (THE) do 2015-16, í ag fanacht sa réimse 251-300 agus d'ardaigh sí a scóir i bhformhór na gcatagóirí. D'éirigh thar cionn arís le OÉ Gaillimh sa dearcadh idirnáisiúnta agus sna tagairtí taighde agus i bhformhór na méadrachtaí eile. Ba í OÉ Gaillimh an t-aon ollscoil in Éirinn a rinne dul chun cinn sa dá phríomhrangú idirnáisiúnta in 2014, bhain sí amach an 271ú háit i Ranguithe Ollscoile QS an Domhain 2015/2016 le gairid, agus gan ach ollscoil amháin eile in Éirinn ag ardú i dtábla sraithe na bliana seo. An mhí seo caite, d'fhógair Thomson Reuters ceathrar taighdeoirí den scoth as OÉ Gaillimh i measc ‘the World’s Most Influential Scientific Minds: 2015’, ardú ar an triúr taighdeoirí a fógraíodh anuraidh. Ainmníodh 3,000 duine acadúil idirnáisiúnta ar an liosta as ucht an líon is mó alt a fhoilsiú a dtagraíonn taighdeoirí eile dóibh. Ainmníodh níos mó daoine as OÉ Gaillimh ná as aon ollscoil eile in Éirinn. Mhínigh Uachtarán OÉ Gaillimh, an Dr Jim Browne, go ndearnadh an dul chun cinn seo mar gheall ar chur chuige comhaontaithe na hOllscoile taighde den scoth a fhorbairt i réimsí sonraithe: “Is dul chun cinn ollmhór é seo do OÉ Gaillimh agus léiríonn sé ardú leanúnach sna ranguithe domhanda seo atá thar a bheith iomaíoch. Is dearbhú é an t-ardú leanúnach i mbliana ar sheasamh OÉ Gaillimh i Ranguithe Ollscoile an Domhain de chuid THE ar an gcur chuige thar a bheith dírithe atá againn i leith ár gcáil idirnáisiúnta a fhorbairt i réimsí áirithe taighde. Tá tábla sraithe an Times Higher Education de na hollscoileanna is fearr ar domhan bunaithe ar 13 tháscaire feidhmíochta ar leith a chlúdaíonn gach croímhisean a bheadh ag ollscoil den scoth; teagasc, taighde, aistriú eolais agus dearcadh idirnáisiúnta. Tá ceann de na suirbhéanna is mó ar domhan maidir le cáil acadúil áirithe sa suirbhé seo chomh maith. Fiafraíodh de bhreis is 10,000 duine acadúil na hollscoileanna is fearr a rátáil do rangú 2015/16.